I literally feel so much better practicing now that I have these shorts. They are comfy, easy to wash, and make yoga so much more enjoyable! Basketball shorts are meant for the basketball court and sleeping. FINALLY I can leave them for that and wear something that gives me a more dynamic and powerful practice…the KHAN is it! First and foremost, Bravo! You are the first to create functional, thoughtfully- designed, well-made yoga apparel for men! 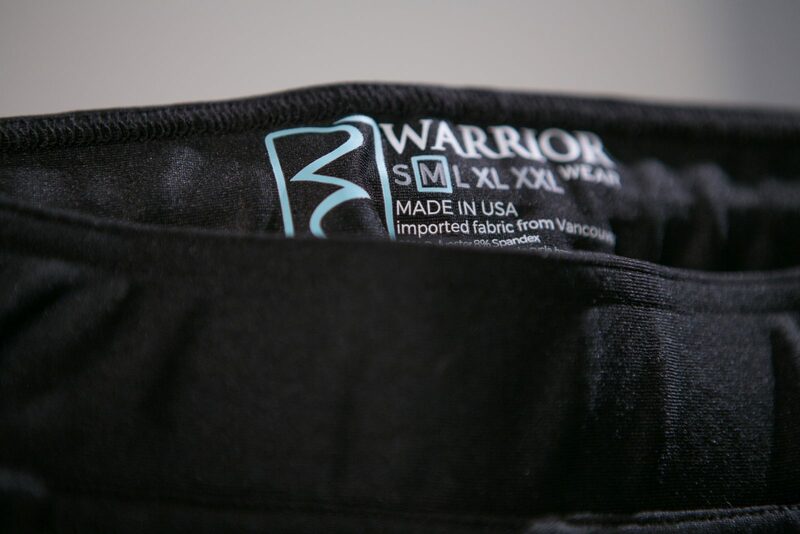 Personally, I like the robust waistband you are using compared with other makers. The length of each pair is spot-on, just above the knee. My preference was The Khan Athletic/Synthetic. A perfect fit, they did not bunch up or bag out, and the waistline stayed anchored throughout hot vinyasa practice. I believe you have crafted an ideal compression short for men. Thank you, Jered! I’ve been waiting for a short like this. It has a great fit and moves with me when I practice. I especially appreciate the quality of the fabric. I teach and have been wearing this short a lot. They’re durable and look good with any top I throw on. A winner. 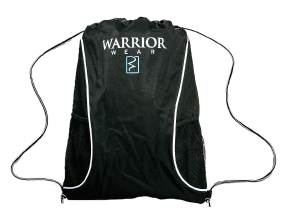 Jered and the Yoga Warrior Wear team have built a really great product here. 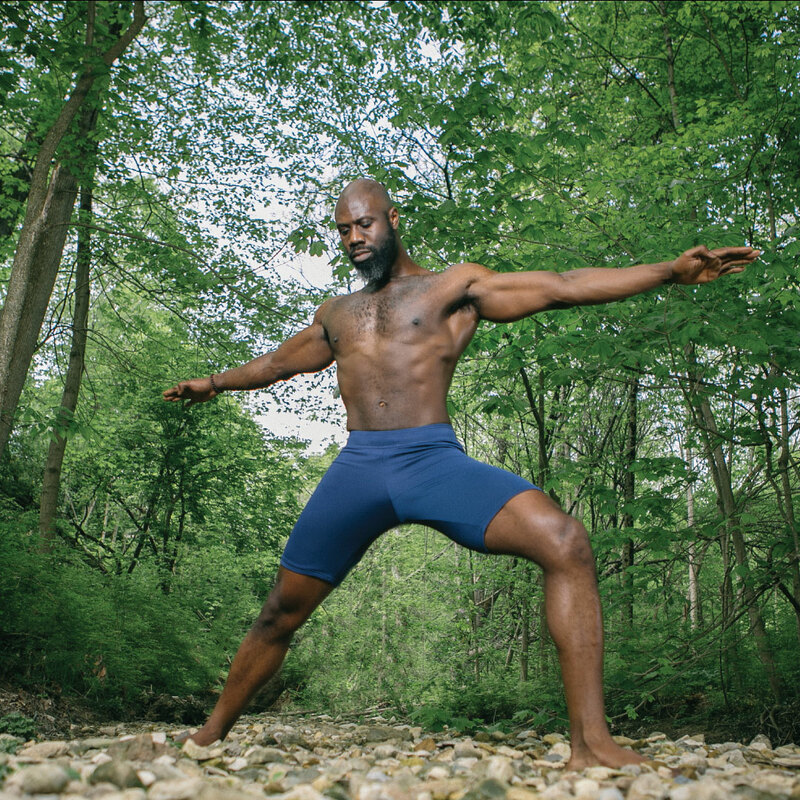 I’m by no means the best or baddest yogi in the world, but in attending classes 2-4 times a week (hot vinyasa flows and bikram classes lasting an hour to 90 minutes at a time) – these are some of the most comfortable and just pleasant shorts I’ve ever had. To boot, Jered has been nothing but helpful and communicative as I have had questions about the product. To add to it, when you make an order, Jered usually packages some goodies along with your order! I got a water bottle and little bag to go with my new shorts. Fantastic, quick service and a great product. I will be buying again next time I need something! Thank you for such prompt and wonderful service! I got my order today and am so appreciative of how quickly it got here & for all the extra goodies! This is a gift and I am sure they will love it. Your shorts is great. Initially, I thought the fabric would be too thin. When I received my shorts, my first impression is that it’s much thicker than expected and a high quality product. I feel that the shorts will last a long time. So far, I’ve been using the khan performance shorts for running and stretching. I love the soft fabric and how it fits when doing anything active. The warrior wear Khan short was obviously designed by a man who wanted to feel supported and comfortable while sweating . The material and cut feel great from the second you put them on and make it so you don’t ever think of them after that – and that is the trick they support in the right places (like the sturdy waistband) but feel and breathe like second skin. Five stars from me. Awesome shorts! I attend bikram classes a few times a week I have bought many brands of shorts these by far are my favorite. They are very well made, stay in place, comfortable and fit great without leaving me feel too exposed. Excellent customer service too. I received my shorts last week and got to try them in a 90 minute, heated Power Flow vinyasa class. They were incredible! They fit great and provide amazing comfort and support! As with my previous order, the customer service was absolutely perfect! My husband LOVES his new shorts, especially since they are blue and not black or grey. He loves the color! At first he wasn’t sure since the band is thick; but he put them on, practiced in them, and came back very happy. He also wore the shirt you sent. It is so soft. Thank you so much, we will be back for more. I have used many shorts or pants for my yoga practice and was never fully satisified. Sometimes too loose or too tight, I’d have to readjust them between poses. With The Khan, once I put it and start my practice, I just forget I am wearing it. The material is really great quality as the stitching, super comfy and you get good grip for poses like the crow. I fully recommend it! Perfect for me! These are the best pants I got for regular and hot yoga. The fit and fabric is just perfect. I got a fantastic service and shipped to Denmark in no time! I bought my second pair of the KHAN in a large and it fits very well. Not to tight and not to loose . I am wear a 32 or 34 waist jean and 180lbs. I like them in blue, most products seem to be in black or grey. I also have the grey and like it as well. The material is thick enough that is it not revealing without underwear or liner. Shorts that have a liner end up bunching up or loosing their hold over time. I am glad these don’t have a liner. I wear these once to twice a week, cold wash and line dry. Look brand new even after months. I’m so thankful I invested in these shorts. They’re the most comfortable clothing I’ve ever practiced it. I feel like an absolute badass. Tried a few pants till now for my practice but these are really something else. It’s an incredibly soft and stretchy material, it fits perfectly and they are very comfortable. I’ve used them during yoga class, for running and for training at the gym and already ordered the second pair. Also a big plus for the very friendly customer service.